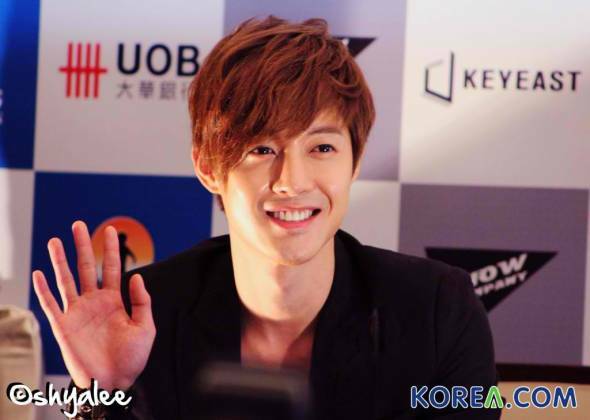 The charming prince of Korea arrived on sunny Singapore island on 3 May 2012 and proceeded to a press conference a few hours later. Jam-packed with media from all sorts of publications and nationalities, the venue was bustling with excitement waiting for the arrival of Kim Hyun Joong. Looking chic in black with a tinge of male cleavage, hair perfectly in place, he mesmerised the media with his mega-watt smile. Embarking on an Asian Tour Fanmeeting, Kim Hyun Joong picked Singapore as its first stop because he felt it was a fantastic place to kickstart his tour. He expressed that he missed fans in Singapore who never failed to welcome him warmly each time. The fanmeet boasts of upgraded versions from all his previous performances, as he performs songs he has never done before. One special factor about the upcoming fanmeet in Singapore, is the record-breaking hi-5 session with 3000 fans. Something no other artiste has ever initiated. 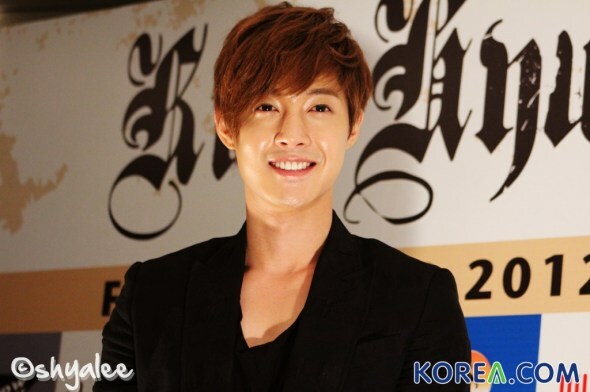 The simple reason behind it is that Kim Hyun Joong wanted to meet each of his fans up close and remember them. “It will be like a small gift from me” said the sweet prince. If he could set a world record, he would love to have a concert with the most number of fans in attendance. Not only that, each ticket-holder would be presented with a U:ZOOSIN shirt and brooch designed by Kim Hyun Joong himself. He wished for fans to bring back something memorable. 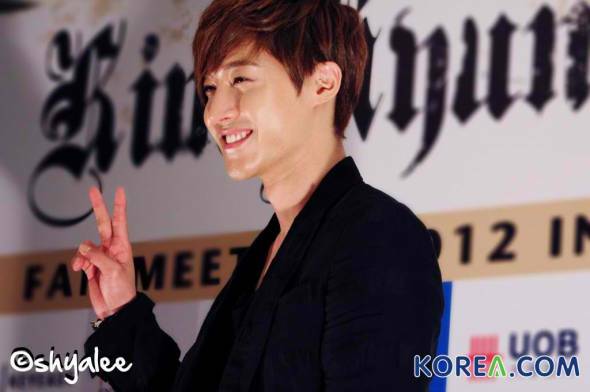 Usually portrayed as the cold princely figure, Hyun Joong revealed that in real life he is actually playful and lively! If you need hard evidence, be sure to attend the fanmeet! An exclusive video will be screened during the fanmeet showing this rare fun side of his. Special thanks to organizer Running Into The Sun (RITS) for the kind invitation to the press conference. Stay tuned to Korea.com as we bring you coverage on the fanmeeting this Friday!